Shkodra Lake - is it a lake or a marsh? Is it a lake or a marsh? This is the question that has been asked for years about the Shkodra Lake. Known in antiquity as Palus Labeatis, its ‘mirror-like body of water’ is located 6 feet above sea level, and has a total area of 368 km ², of which 149 km² with a coastline of 57 km belong to the Republic of Albania; while 2/3 belong to Montenegro, which was declared a National Park in 1983. It has a much diversified shore of the type of lowlands and marshes in the North and rocky in the South. The south coast beaches stand in the way from Shkodra to Shirokë and Zogaj, with Zalli i Bardhë being the largest one. The lake has a diversified and rich fauna with 45 species of fish and 270 species of birds. The birds make up 87% of all ornitofauna in Albania. A gem of this property is definitely the pelican, the largest bird in Europe, which is unfortunately going extinct. The deepest point of the lake is about 45 meters, or at least that is thought to have been. In the south-eastern edge lies the city of Shkodra, after which the lake is named. Moraca River in Montenegro is the main source of water for the lake, while on the Albanian side, midway of Shkodër-Shirokë, Buna River takes shape as its main outflow. The Lake has a shore of 11 milesstretching from east to west. Mount Tarabosh is near the lake. Shortly before discharge of Drini River to Buna, there are some ten fisheries located for hunting fish; most famous are carp, mullet, eel and sturgeon that unfortunately is becoming extinct. Since last year they have started work on the promenade of Shirokë and its streets. Last year, residents in that area claimed thatwastewater are taken from Shirokë and Zogaj and discharged directly into Shkodra Lake. Agetina Kecaj says that the project has changed destination. "The promenade project that includes the centre of Shirokë is not properly implemented because it is deviated a lot. Although promised that wastewater and sewage will not be taken from the manhole near my house, the situation is still the same. The heavy stinking odour and the risk of an epidemic is a threat to us. Pipelines are not set according to the project. They are only a few meters below our house. Furthermore, all the water flowing in the centre of Shirokë drains few meters away in the lake. The place where they are deposited is below the Catholic cemetery. A large pit is now established as faeces mix with the waters of the lake bringing major ecological damage and creating a real scandal. The question that I ask is “who protects the lake when heads of local institutions continue to destroy it without being bothered by anyone "- ends Agetina, an indigenous inhabitant of Shirokë. Only the total quantity of waste generation in a day on the Shkodra Lake shore and the waste disposal system that often if not almost always does not workproduce scary figures on pollution of Shkodra Lake. The two tables below show clearly the situation in detail. In fact, in reality the situation is even more problematic than presented in figures and official documents. Every day, theurban& construction waste, sewagewastewater, chemical pollution or even the By-Pass, which is left adrift sooner than started, are some of the main factors that have already alerted everybody about the pollution and gradual destruction that is being done to Shkodra Lake. Although lots of funds that translate millions of euros in field, the lake is in a situation of emergency. The lake is losing everything turning into a clearly dysfunctional quagmire. Once you go by the side of the road below which Shkodra Lake lays, a rusty traffic sign appears, which is the first signal that indicates what the situation is and what the focus has been there. There is neither urban study, nor any plans to be implemented in that zone. Shirokë in different parts looks like a ruin with construction solid waste leftuncleaned for more than two year. In that area, there is garbage everywhere on the shore of the lake. In many parts, the image is not pretty and the stinking odour that smells here and there is almost suffocating. 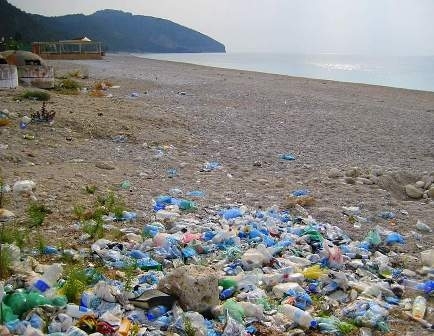 At the same time, the situation created due to garbage and other waste in many cases makes the local tourists from Shkodra or other parts of Albania leave the place thus reducing the number of visitors. The lake is quickly turning into real marshland, which has led to the extinction of many species of flora and fauna that until recently was very rich. The situation has deteriorated so much that often carp, the traditional fish in the lake,is supplied from Podgorica, Montenegro, to be traded in Shkodra. There are no people at the lake and everything is dead even though we are in the tourist season. Population growth and the need for recreational and tourism activities on the shore of the lake in the future will increase the number of people and consequently the amount of waste. PMM should foresee the increase of waste disposal and the need for larger collection systems. For the first time,Lorenc Luka, the Mayor of Shkodra Municipality has accepted waste disposal into Shkodra Lake and its daily pollution. When asked about this situation, the mayor confirmed that various businesses operating in their area Shirokë - Zogaj dispose waste and sewage into the lake. "We are aware of the existing problems. Certainly that waste and wastewater are dumped into Shkodra Lake. The situation has for many years been like this, though we have tried to minimize that. It's hard. We tried to raise the awareness about the situation through various activities, but there are still problems thatshould be eliminated as soon as possible"- declares Luke. When asked why the offenders aren’t punished, the Mayor said that it is impossible to assign a guard for every business entity to be fined, while he ironically referred to the question we asked to him an investigative approach. Luke added that there are some institutions fined for pollution of the lake, but did not mention any names. "We cannotdeploy a policeman for every entity that operates in Shirokë or Zogaj. Their number is large by now. We tried to operate to our best, but certainly we alone cannot stop this phenomenon. Furthermore these problems cannot get a solution through the investigative approaches that you use. To tell the truth there were some institutions punished for pollution of Shkodra Lake; for various reasons I prefer not to make their names public. We have this concern to our attention and we aim to reduce the amount of pollution although, as you know, that it is not easy "- concluded Shkodra Mayor admitting failure. On the other hand, the Water Supply & Sewerage Company in Shkodër, directed by Leonard Kepi, "shuts up" to the pollution of Shkodra Lake and the disposal of wastewater into it, while informally he confirms disposal of sewage into the lake. 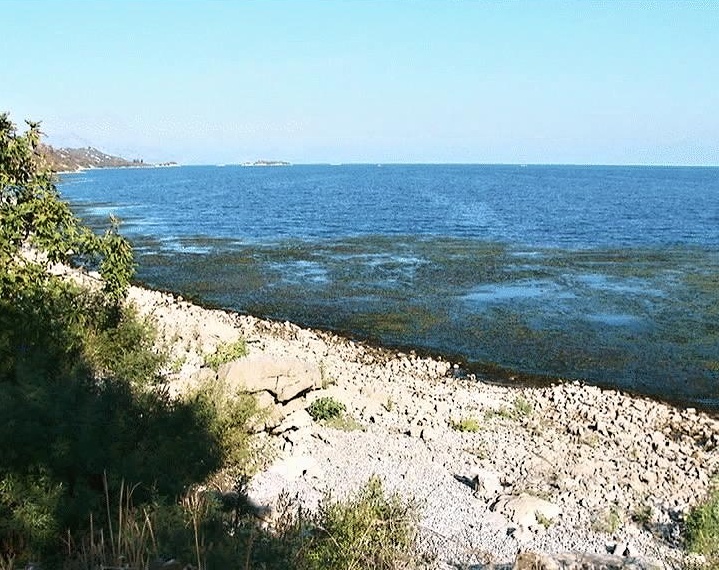 The Director has tried to remove theresponsibility from his institution, though he knows very well that the firm implementing the project can neither act at will nor further destroy Shkodra Lake by disposing sewage into it. Based on the recurring abuses, the Water Supply & Sewerage Company has the potential to block the work for the implementation of the project, hold them accountable and prohibit the disposal of wastewater into the lake simply by means of an official letter. Thus, on one hand he has accepted, though not officially, that through company vehicle, the firm is disposing sewage into the lake. Given that the project amounts to millions of euros, the Albanian party, namely the Water Supply & Sewerage Company itself or even other government structures might lack the proper power to intervene. When asked about the deviation of the project of Shiroka centre, the director admitted the deviation again, but stated that he lacks the proper power necessary for the implementation of the original project that is stopped by some of Shiroka residents who happened to have their homes or surrounding walls at the place where the pipes had to pass. Although aware of the flagrant violations and the scandalous situation, the Water Supply & Sewerage Company has not taken any steps to stop this situation that is leading to the complete destruction of Shkodra Lake. In this way, the director has not deigned to speak and give an official response as to why the Water Supply & Sewerage Company, which has the mission to protect the lake, allows its destruction. The Albanian Forum of Shkodra Lake, led by Professor Mahir Hoti, former Rector of "Luigi Gurakuqi" University and an environmental specialist confesses everything about the problematic situation of Shkodra Lake. “Not much time ago, I conducted a study that includes all the part of my dissertation on the lake. I have presented national and international papers where I dealt mainly with physical, geographical and hydrological aspects for the environmental protection and touristic utilization of Shkodra Lake. We held meetings supported by the German Rectors' Conference. We held bilateral conferences with Montenegro, and have been part of some of IPA projects, the Albania - Montenegro cross-border program and partly have participated in the World Bank 2008 – 2012 project. This project included 1.9 million dollars forAlbania and 2.1 million dollars forMontenegro. In Albania, it was divided into 18 different projects.Obviously that is a big figure and a spread that was of no positive use as regards the effectiveness of Shkodra Lake. It should have been more concise and with an intervening focus. Montenegro’s project was more concise and efficient. There are 15 environmental associations only in Shkodra. Here and there, they have all benefited from various projects, but have never raised their voice for the protection of the lake and improvement of the situation"- Hoti says. He talks even about the concerning issues: "Pollution from urban waste, construction, partial disposal of wastewater of Shkodra in the Buna - Lake border, as well as the countless registered and unregistered buildings and the chemical pollution that is even more harmful are the factors that are destroying Shkodra Lake. It is widely known that the aluminiumplant in Podgorica, Montenegro, disposes technological process waste into the river of Moraca, which then ends up in Shkodra Lake. Contaminated water and heavy metals comprise a big problem for the damage of Shkodra Lake. Associations, among which "Green Home" in Montenegro, have raised this problem, but so far there is still no solution to this alarming situation that continues for years. On the other hand, the By-pass of Shkodra with its destination to fix something during the flooding times and situations, for another ramification and use as promenade, his position has rather damaged than helped. Thousands of cubic meters of gravel were dumped there, looking like real hills. The lake water takes it away eroding the dumped gravel, which has significantly affected the lake and near the promenade has returned to triangular swampy area and has also reduced the lake basin"- says Mr. Hoti. Professor speaks even about the damages caused: "Biodiversity, damage to fish, fish stocks are dwindling too. There is a disturbance of the equilibrium between quality and non-quality species. There is an obvious reduction of carp, bleak, Bolt (native), eel or strogum that is now a very rare visitor. There is a proliferation of karaš that eats carp eggs or other unsatisfactory types ". Mahir Hoti, both a specialist and President of the Albanian Forum of Shkodra Lake has also prepared an emergency protection plan. "Construction, with or without permission, should be immediately stopped. There must be implementing projects in place and not only awareness raising ones. There must be concrete measures taken: intervention for cleaning, removal of various materials and, in a distant prospect, mass removal of the weeds that have deeply penetrated from the periphery towards the lake, otherwise we risk increasing the meadows at the expense of the lake. It should not be seen as separate from Buna River, because it is the main lake outflow. The state must intervene firmly, a greater effectiveness of environmental associations is needed, and funds must be addressed for interventions in that original ecosystem that is unfortunately cherished by foreigners more than locals. The green city crown and that of Tarabosh Mount that serve the lake should be increased, instead of being deforested, as it is happening every day.Once the average depth of Shkodra Laker was nearly 12 meters, while today is discussed to be somewhere to 7 meters. In 2012 the Ministry of Environmental Protection was the penultimate with 0.9% of the state budget funds, while in Germany it is third "- Professor Mahir Hoti concludes. 24 different species risk extinction due to high levels of pollution and the damage that Shkodra Lake undergoes every day. Disposal of waste, failure to clean the lake, daily damage and almost total neglect is putting 24 species, mainly birds, at risk of extinction. Confirmation came on the InternationalDay for Biodiversity by Alminda Mema, Coordinator at "Aarhus". “Today, on the International Day for Biodiversity, we are presenting here before the Municipality of Shkodra several different species that risk extinction and are susceptible to reduction. Illegal fishing and hunting of birds comprise the two main problems together with pollution and waste. There is no infrastructure in Shirokë and Zogaj and disappearance of biodiversity is also at risk. About 24 species that we have presented and face the risk of extinction and most problematic is the situation of curly pelican - a rare fowl in Europe, baroque butterfly, but also other species "- says Mema. Shkodra citizens have visited the exhibition and got familiar with the problem. They have expressed regret for the risk of extinction of 24 different species that once enriched Shkodra Lake, while now their absence impoverishes it a lot. Infrastructure on Shkodra Lake shore has been one of the problems raised in the Council of the Municipality of Shkodra. It was Mustafa Lici, a member of the City Council, the one who said that the Municipality of Shkodra has been completely forgotten that part. According to Mr. Lici, the shore of the lake has been a very valuable asset in terms of different types of wood or other resources which, according to him, are being destroyed every day. This is why he asked for investment to be made in that area. The concern of Mr. Lici did not get a response from the municipal leaders. In recent years, the lake shore as well as Shkodra Lake itself suffered major damage that still continues today. “Encourage the community for conservation of Shkodra Lake" was the theme of the closing conference of the project with the same name - a study which started since 2010 with a group of environmental specialists on both sides of the border, Shkodra and Montenegro, countries bordering the largest lake in the Balkans. Sulejman Sulçe, both university instructor and project manager said that time has come to act precisely on Shkodra Lake, as it is being damaged with each passing day. Mr. Sulçe said that it should be invested for setting up two plants in Montenegro, as well as in the Albanian part of the lake. After this project, based on the findings, we already know what the real situation of the lake is and how to act for its protection. Albania and Germany signed an agreement of 20 million Euros for the protection and conservation of Shkodra Lake. Edmond Haxhinasto, Transport and Infrastructure Minister, said that the agreement signed with the German Ambassador in Albania, worth 20 million Euros for the environmental protection of Shkodra Lake will be effective and will have immediate impact. The Minister of Transport and Infrastructure, made these statements from Shkodra. There are 6 conventions and statutes for the protection and conservation of Shkodra Lake that have not been implemented almost entirely either by the central or local government, or by the environmental organizations. According to the Helsinki Convention, in all activities undertaken on one side of the lake, their cross-border impact should be considered. In order to ensure the protection of groundwater and the environment, the key principles that countries should refer to any specific matter are given in Article 3 of the Convention. The most important parts of the Helsinki Convention are common monitoring, assessment programs, bilateral meetings, and exchange of information and mutual assistance that should take place between states. Albania has signed the Helsinki Convention on 05. 01. 1994, while Montenegro is not yet a member of this Convention. Basel Convention has as its main focus the management of hazardous waste and the remains designated as "other waste". Therefore the objective of the Convention refers to the inhibition of transboundary movements of hazardous wastes and other wastes and the implementation of a regulatory system for the transboundary movement of waste allowed. Albania has entered the Basel Convention on 29. 06. 1999 and Montenegro has begun the entry process on 23. 10.2006. Bern Convention on the Conservation of Wild Flora and Fauna and the European Natural Environment The Berne Convention is specified as a basic legal instrument for the conservation of nature. Actually, the main objectives of the Berne Convention are the conservation of wild flora and fauna and their natural habitats. Particular emphasis is given to the preservation of endangered species and habitats, vulnerable species (that includes migratory species threatened with extinction), whose conservation requires the cooperation of several states. Protection of species and habitats are two of the main factors outlined in the objectives of the Convention. Member states are also required particular attention be paid to the protection of areas which have a great significance for species included in Appendices II and III of the Convention. Convention mentions that the contracting parties must commit to coordinate as much as possible their efforts to protect special natural habitats that are located in the border areas. Both Albania and Montenegro are members of the Berne Convention. Convention on Environmental Impact Assessment in a Transboundary Context (ESPOO Convention) states the obligation of member states to make the Environmental Impact Assessment (EIA) of certain activities when they are still in the design phase. States should also consult each other in case of major projects that may have an adverse environmental effect beyond borders. As understood, the main objective of the ESPOO Convention is the obligation of member states to prevent, control and reduce the harmful environmental effects of certain cross-border activities.Appendix I of the Convention contains the proposed activities that have a higher chance of causing an adverse transboundary environmental effect. For certain activities that are expected to have an adverse transboundary impact, each state must establish procedures for the evaluation of environmental impact, allowing public participation to be part of them and prepare relevant documentation. Country of origin of the pollution source must provide the state with documentation of the environmental impact assessment which must be submitted by the party concerned to the authorities and the public of the area affected by this activity, to be filled with comments necessary for the responsible authorities of the country of origin. International cooperation on the environmental impact assessment, particularly in cross-border context, is enhanced through ESPOO Convention. Albania is a member of the Convention since 1991, while Montenegro has ratified the ESPOO Convention in 2009. The main purpose of the Convention onConservation of Migratory Species of Wild Animals, known as the Bonn Convention, is to raise awareness of stateson the importance of migratory species. States should facilitate the preservation of terrestrial, marine and avian migratory species and pay special attention to species the conservation status of which isunfavourable. This can be achieved through cooperation and promotion of research on migratory species. For migratory species that are disappearing included in Annex I, Member States should endeavour to ensure the protection and must reach agreement on the management and conservation of certain species. Both countries, Albania and Montenegro are members of the Bonn Convention. Unlike other conventions, the Aarhus Convention on Access to Information, Public Participation in Decision-Making and Access to Justice in Environmental Matters requires a high degree of public participation in environmental issues. Implementation of the Aarhus Convention in the case of Shkodra Lake requires a major commitment from the Albanian and Montenegrin parties. The Convention is intended to give the right to any person from the generation of today or tomorrow to give his contribution "to live in an adequate environment for his/her health and wellbeing". For this reason there area large number of individuals that have created environmental associations. 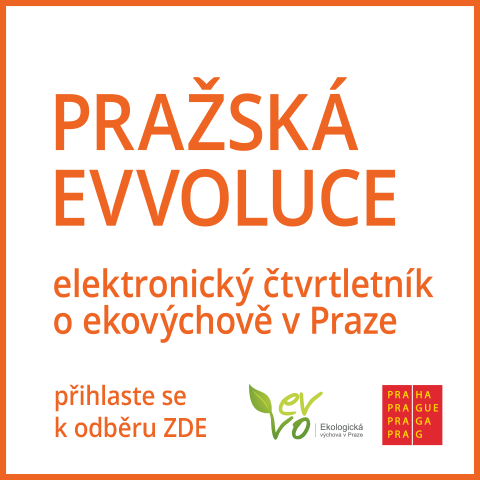 Topics of the Convention are divided into three main pillars laid out as follows: "Access to environmental information"; this part is examined in the article 4 of the Convention and includes the right of every person to receive environmental information that can be held by public authorities. "Public participation in decision making", which includes agreements to be made by public authorities in order that the public and non-governmental organizations are given the opportunity to make their comments on the proposed projects, plans and environmental programs. These comments should be considered by the authority in final environmental decisions. The last pillar is "access to justice" and is related to the rights for the review of procedures performed or decisions made without considering the environmental law or the rights of others. Public participation in environmental decision-making and transparency issues are regarded as key factors to having a positive impact on environmental protection. Albania has ratified the Aarhus Convention on 27 June 2001 and Montenegro has acceded to this Convention on 2 November 2003. Relying on the international values it presents, Shkodra Lake is included in the "Ramsar Sites" 4, which means that the lake is of a great importance not only for Albania and Montenegro, countries where it lie, but for all mankind. Ramsar Convention requires "the wise use of wetlands" through their sustainable use, creation of national policies, harmonization of laws and financial instruments, including public participation in the management of wetlands and promoting of education” and also, through international cooperation "through transboundary water resources management, and wetland species shared". Wetlands included in the "Ramsar sites" acquire a new status nationally. For this reason, the assessment of legal basis for Shkodra Lake, Albania and Montenegro should be initiated by the "current status" of the lake in the respective countries. The Albanian Law no. 683 dated 02. 11. 2005, announces the complex of Shkodra Lake and Buna River wetland as "special protected areas", which means that only traditional activities that preserve environmental valuescan be developedin these areas. But a clearer vision of current activity that can be undertaken in these areas in order to protect natural values is given in the Law no. 9868,dated. 04.02. 2008, which is the amendment and supplement of Law no. 8906, year 2002 "On Protected Areas" 5. Based on environmental values, prohibited activities and the degree of protection, protected areas are divided into the following six categories: Strict Natural Reserve / Scientific Reserves (Category 1) National Park (Category 2)Natural Monument (Category 3). Shkodra Lake is included in the list of "National Parks" in Montenegro since 1983. According to Albanian legislation, a higher degree of protection is required for national parks, which fall in the second category of protection. Moreover, the national parks of Montenegro are introduced at the level BNRNBN II (International Union for Conservation of Nature and Natural Resources) 7 of protection system.Considering the classification of protected areas even in international scale (BNRNBN), we note that a higher degree of protection is implemented for Shkodra Lake in Montenegro. Though in international levelthe valuesand importance of the ecosystem of Shkodra Lake are considered the same, to ensure its sustainability, different degrees of protectionare applied by both states. Shkodra Lake and Buna River are registered as Protected Zones (Category IV and V of the IUCN), and since 2005 are included in the Ramsar Convention. The ecosystem of Shkodra Lake, as well as that of other lakes found in Albania, offersmultiple benefits. They provide ecological services such as the impact on climate; serve as water filters or water reservoir, while also providing direct uses, such as ensuring a source of water for many areas (water supply, irrigation and livestock), fish reservoir, medicinal plants and other materials necessary for life. Moreover, these ecosystems directly and indirectly provide daily living to nearby residents by providing employment opportunities, through the impact on agriculture, livestock, fisheries, tourism, etc. While numerous studies have been conducted on the socio - economic benefits of the lakes in Albania, still there are no precise data on what these benefits are in quantity and monetary value. The acceleratedurbanization in the last 20 years, decrease of soil fertility, increase in special interest tourism, the negative effects of climate change, increased erosion, increased negative pressures on the capacity of these ecosystems, causing significant damage to the their functioning. Shkodra Lake serves as the main source of income for the main part of residents near the lake. The role of responsible institutions is not clear regarding management of Shkodra Lake. There is lack of information on pollutants and their negative role in the development of the ecosystem of Shkodra Lake. It is necessary to develop anenvironmental management&monitoring plan that will contribute to the conservation managementand sustainable development of a significantarea of natural heritage, an important ecosystem like the Shkodra Lake; to analyze the socio-economic situation and compilethe socio-economic profile in the area of Shkodra Lake; to ensure social- economic information, which will be used to plan the activities in the management plan, to document the natural resources of the area and determine the values of resources use (food, fish, tourism, water, medicinal plants) and non-use (cultural, traditional); to analyse the economic dependence of residents near Shkodra Lake; to evaluate existing strategies regarding the management of Shkodra Lake and its resources. Strategies about Protected Areas, Tourism and Fisheries are used as an important tool in decision making at local level. However, there are a number of gaps and ambiguities existing during implementation of these policies. Development of the management plan requires consideration of these obstacles and finding of mechanisms that can prevent them. The importance that Shkodra Lake acquires in the development of activities such as agriculture, livestock, tourism, and fishing is high.On the other hand, this close relationship highlights the extent of pressure that exists and will exist on this important natural ecosystem. Consequently, community's needs for training, increased awareness of the value of the lake should be defined, as well as education on laws and regulations for the sustainableuse of this ecosystem.